SPOILERS MAY FOLLOW, PROCEED WITH CAUTION. Because the worst thing about movies is actually having to watch the things, we are dedicated to bringing you the freshest in semi-spoilery on-set pictures from the most anticipated films currently in production. Only an idiot wouldn’t be excited about The Amazing Spider-Man 2, given the sterling review the original received and the excitement surrounding its total lack of Tobey Maguire. It might mean nothing at all, but the fact that the outfit is exactly the same in every single way is notable. Things don’t just turn up in movies, every single thing that occurs on screen is planned. 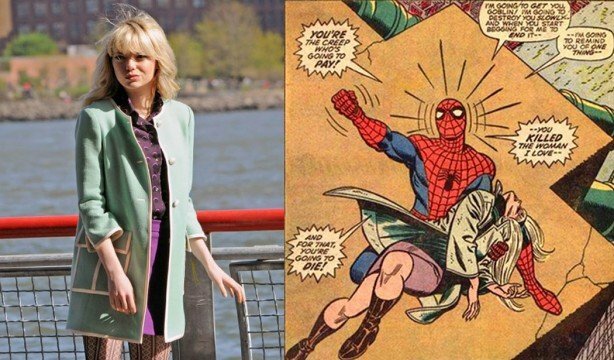 Those aren’t Emma Stone’s actual clothes, it’s an outfit designed by the costume department, which would suggest that what she is wearing is referencing something specific. The fact that Shailene Woodley has been cast as Mary-Jane, Spider-Man’s dead amaze and totes emosh BFF, notwithstanding, it seems like Gwen Stacy may not live to see The Amazing Spider-Man 3. The social media-happy folks behind The Amazing Spider-Man 2 have been merrily tweeting away all manner of behind the scenes images, but whether or not they’d intended for these pictures to be seen so widely is up for debate. Her death in the film has been hinted at since production first began, which Marc Webb – director of the film, duh – will no doubt be incredibly happy about. Of course, now everyone is hyped to see the film, the leak may well be intentional, and we’re all just puppets on a string. Or flies on a web. 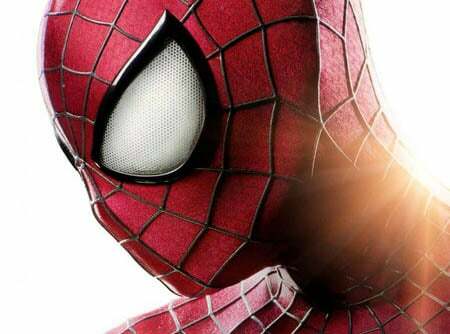 The Amazing Spider-Man 2 opens May 2nd, 2014. Watch at your peril, fans of characters that Emma Stone plays remaining alive.